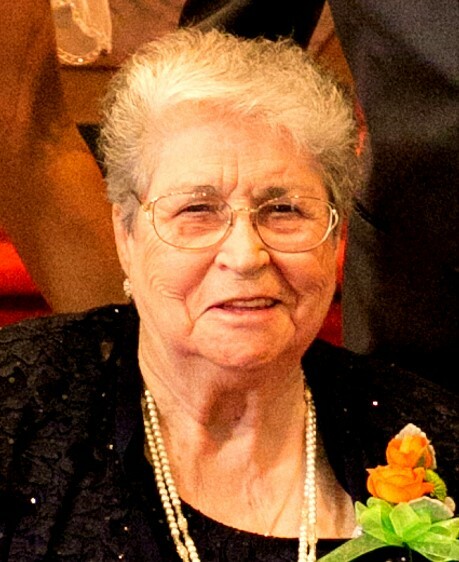 Julieta Pires de Azevedo passed away on Wednesday, February 6, 2019 at the Watsonville Valley Convalescent Hospital, surrounded by her loving family. Mrs. Azevedo was 94 years old. Julieta was born in Braganca, Portugal, on November 30, 1924. She lived with her family until 1950 when she migrated to Angola, Africa, where she met her husband Joao Batista Azevedo, and where her children were born. In 1975 she and her family evacuated to Lisbon, Portugal due to a civil war in Angola. Approximately a year later, Julieta and her family came to the United States where she met up with her husband’s extended family, later became a citizen and where she resided ever since. Julieta worked as a seamstress at Colshire of California Inc., for about 2 years. After that, she stayed home and took care of family, mainly her grandchildren. She survived her husband of 35 years to cancer. Julieta was a parishioner of Our Lady of Christian Helpers, and a member of the Irmandade da Santissima Trindade de Watsonville ( I.S.T.W.). Julieta is survived by her 2 children, Filomena Teixeira (Leovegildo), and Paulo Azevedo (Kim). She is also survived by 6 grandchildren and 3 great-grandchildren. Family, friends, and members of the community are invited to attend services. Visitation and viewing will be held on Wednesday, February 13, from 5-9pm., with rosary recited at 7 p.m., at Mehl”s Colonial Chapel, 222 East Lake Avenue, Watsonville. A mass of Christian Burial will be celebrated on Thursday, February 14, at 10 a.m., at Our Lady of Christian Helpers, at 2400 East Lake Avenue, Watsonville. Burial will immediately follow at Valley Public Cemetery, 2445 East Lake Ave in Watsonville.